Email Blast Software - What domain and IP address do I use? Whenever you send bulk email, the IP address and domain that the emails are being sent from should not be your own. A third party domain name and IP address should be used. The reason behind this is to ensure that your website and IP address do not become blacklisted when using email blast software. If your site or IP gets blacklisted, you will be unable to send bulk email in the future. Third party IP's and domains prevent this from happening to you. With bulk email marketing, the 3rd party IP address and domain may not be white listed. White listed sending domains and IP's are for double opt in data; not purchased lists. 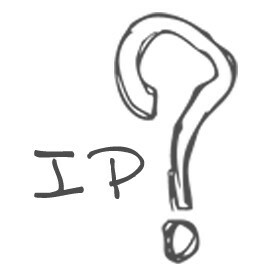 Although an IP may be considered blacklisted that is not always the case. It is dependent on if and where it is blacklisted. For example, never use an IP blacklisted by Spamhaus or Sorbes. Many ESP's will provide you the proper IP's and domains to send off of with their services. Make sure this is the case when you sign up for a service.